A new video released by Islamist militants Boko Haram claims to show around 130 girls kidnapped from a school in Nigeria last month. The group’s leader, Abubakar Shekau, said they would be held until all imprisoned militants had been freed. He said the girls had converted to Islam. The video, released on Monday, claims to show them praying. Boko Haram abducted more than 200 girls in northern Nigeria on 14 April and threatened to sell them. 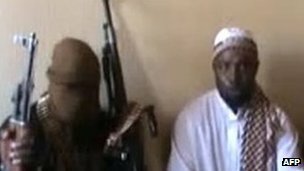 The BBC’s John Simpson in the northern city of Maiduguri said Boko Haram’s comments showed signs that the group was willing to negotiate. Three of the girls – wearing the full-length hijab – are shown speaking in the 17-minute video, obtained by French news agency AFP. Two girls say they were Christian and have converted to Islam, while the other says she is Muslim. “These girls, these girls you occupy yourselves with… we have indeed liberated them. 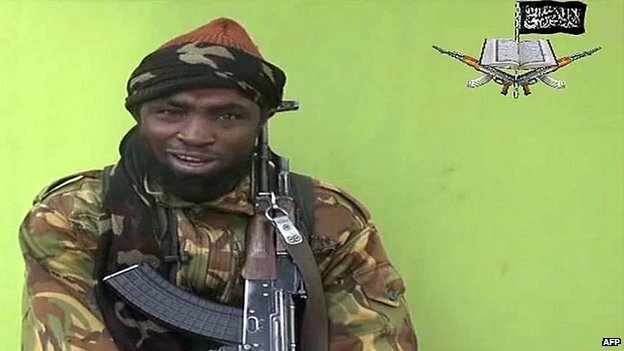 These girls have become Muslims,” Abubakar Shekau says in the video. It is thought the majority of the abducted girls are Christians, although there are a number of Muslims among them. Correspondents said the girls appeared calm and one said that they had not been harmed. There is no indication of when or where the video was taken, although the location appears to be rural. It is estimated to show about 130 girls – just under half of the 276 pupils abducted from their school in the northern state of Borno. Our correspondent says this could mean those abducted had been split into smaller groups to help avoid detection. 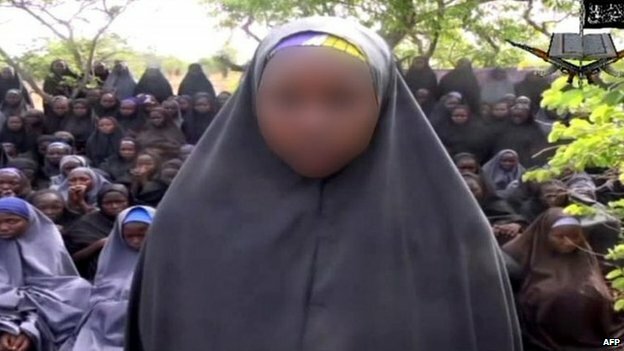 Boko Haram had previously admitted to kidnapping the girls. The group, whose name means “Western education is forbidden,” said they should not have been at school and should get married instead. 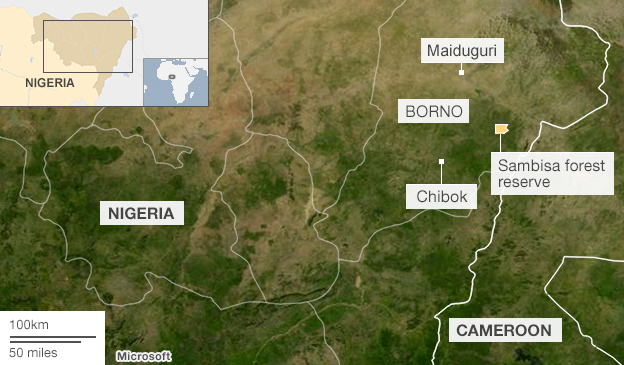 Boko Haram has been engaged in a violent campaign against the Nigerian government since 2009. Earlier, the governor of Nigeria’s Borno state said he had information on the whereabouts of the schoolgirls. Governor Kashim Shettima said he had passed reports of the sightings of the girls to the military for verification. He added that he did not think the girls had been taken across the border to Chad or Cameroon. The Nigerian government has faced heavy criticism of its response to the mass abduction but President Goodluck Jonathan said on Sunday that assistance from abroad had made him optimistic of finding the girls. The UK and US already have teams helping on the ground in Nigeria and an Israeli counter-terrorism team is also on its way to the country. Meanwhile, French President Francois Hollande has offered to host a summit in Paris next Saturday with Nigeria and its neighbours focused on Boko Haram and the country’s security challenges. Boko Haram: Who are the radicals kidnapping Nigeria’s schoolgirls? Posted on 12th May 2014 by newsafrica. This entry was posted in Africa, African Security, al Qaeda in Africa, Boko Haram, Christainity, Human Rights Violations, Islam, Nigeria, President Jonathan, Religion, Terrorism, Women's Rights and tagged Abubakar Shekau, BBC, Boko Haram, Borno State, Goodluck Jonathan, Islam, Kashim Shettima, Nigeria. Bookmark the permalink.